All I really need to be happy on holiday is pretty scenery, a nice beach, and sunny weather. Maybe a nice meal (or two, or three... or ten) too, and good company doesn't hurt either. But when you get all of that PLUS loads of culture and history, you know you've hit jackpot. 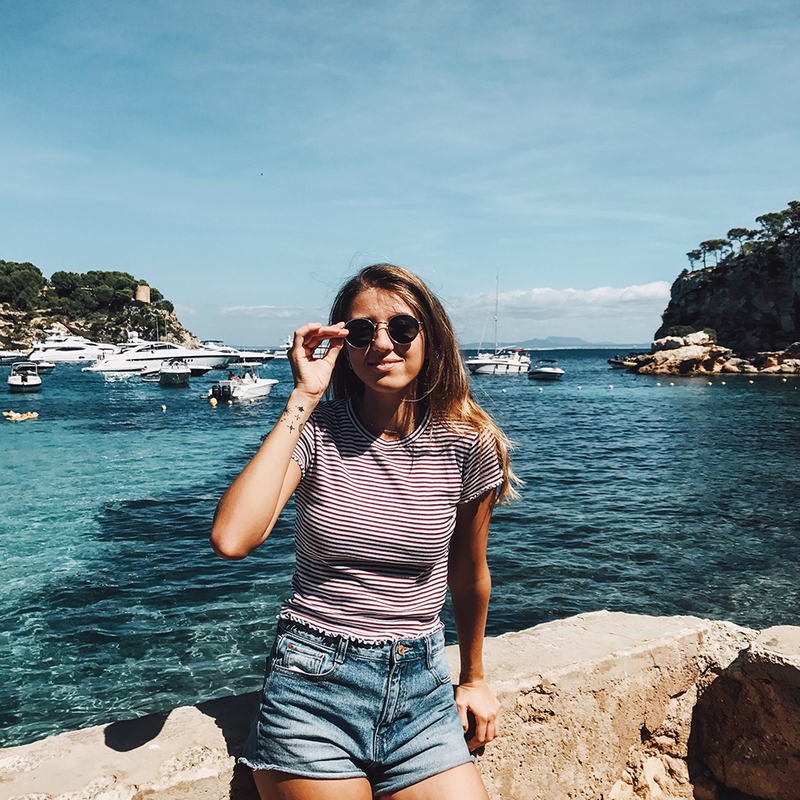 In Mallorca, you have stunning mountain drives, crystal clear water beaches, beautiful old towns, and buzzing nightlife too, if you're into that. I went to Palma with two of my dear friends - Zane & Baiba. We all have a little business together (in case you didn't know! a bit of self promo) called The Dear Diary. As it's been a year since we launched and also as we're about to launch our 2018 planner, we decided it would be a good idea to go on a little company retreat and for some quality tanning time pre-Zane's wedding. From our experience I can say that mid September is an amazing time to visit - the sun was still steaming hot and the water warm enough for a swim. I was hoping to do a vlog and a full on travel guide of our four day adventures, but from the very beginning the trip was so relaxing that I ended up doing just that - relaxing. Nevertheless, here are some snaps of our time there, and some recommendations too - scroll down! lots of palm trees in palma! 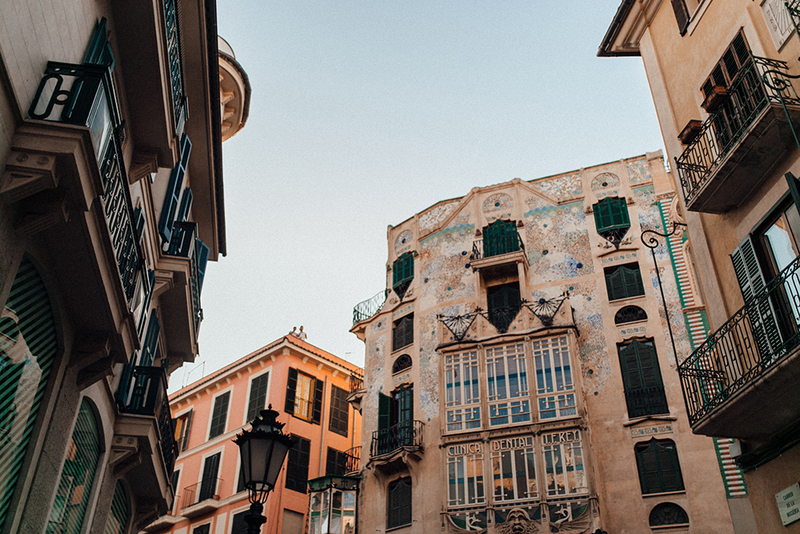 There's so much to see in Palma! As we drove in town from the airport, we were greeted by an impressive sea front and the massive La Seu cathedral - which was also a great spot to watch the sunset from. We stayed on the edge of Santa Catalina area which was buzzing with restaurants and bars. On the other side we had the beautiful old town with picturesque streets to get lost in, small charming boutiques and art shops, and Passeig Des Born - probably one of the prettiest shopping streets you'll ever find. As for food - I happened to start a gluten & dairy free diet a few days before the trip (as an attempt to finally rid myself of annoying pimples, in case you're wondering why) so I expected to struggle a bit with food while traveling. 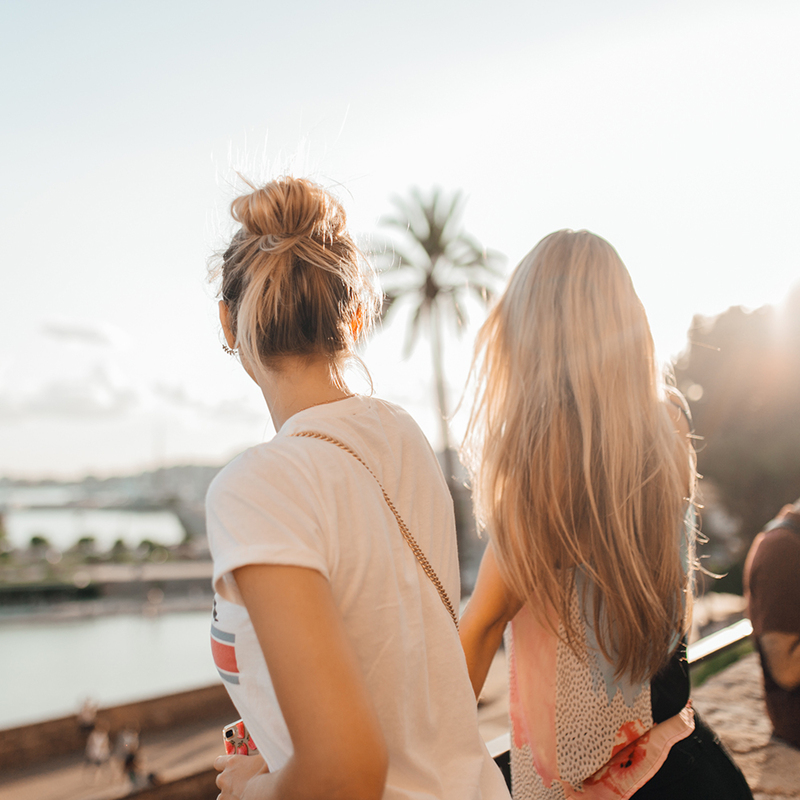 It turned out to be even easier than doing this in London - Palma is filled with healthy food places, there's coffee with different kinds of milk, and you can find veggie or pescatarian options in most tapas restaurants. One thing I'd be mindful of is the fact that most places are closed during siesta, or only open in the evening from 7 or 8 pm. 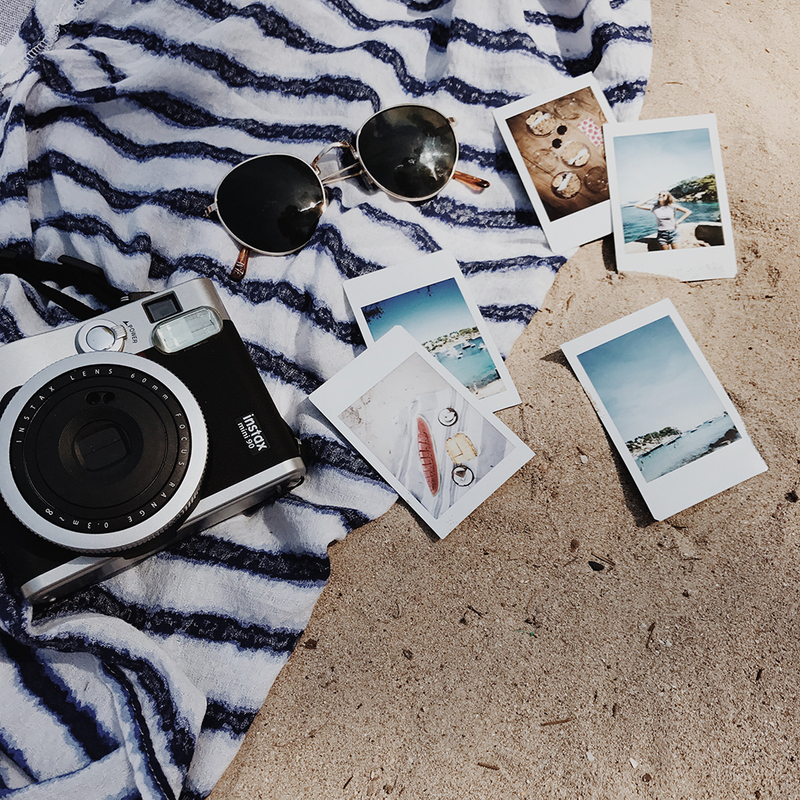 It can be a bit annoying if you're used to earlier dinners or if you want to stay at the beach longer and grab lunch later in the afternoon. St Lorenzo Tapas - our greatest find. It happened to be right around the corner from our AirBnb, and it's a gluten free restaurant with dairy free options on almost everything, including their pizzas (which are delicious!!). 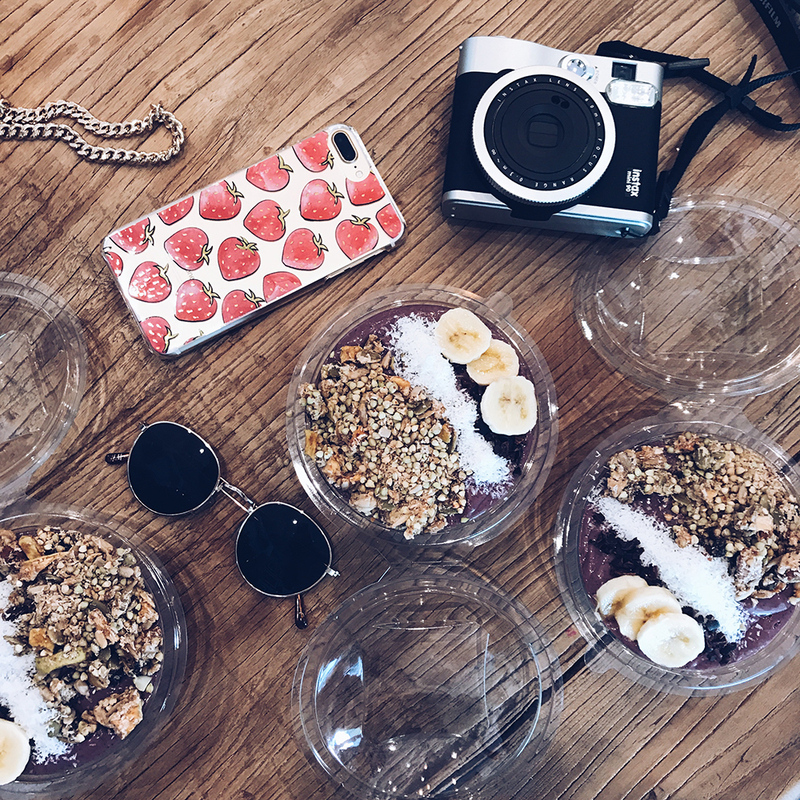 Our breakfast choice was the hip vegan cafe Ziva To Go with fresh juices and smoothie bowls, and lots of dairy-free coffee options. Marsim Bistrobarante - a cafe with a huuuuge burger menu, with a ton of veggie and vegan options! They've got regular buns, gluten-free pink buns, charcoal buns, take your pick. And their chips with homemade ketchup are so nice! more of old town palma. We had a rental car so we ventured outside of Palma to find the nicer beaches. The island is quite rocky and mountain-y, so there aren't that many soft sandy beach choices, and if there are - they are quite small. Portals Vells is quite a small but charming cove, with sun loungers for hire and the most turquoise water. S'Aramador beach reminded me a bit of Bondi, just a little bit smaller and more secluded. Beautiful wide strip of soft wide sand, and you get a nice walk through a pine forest to get there. Our favourite here was probably the fact that there was a fresh fruit stall! Nothing beats snacking on watermelon and coconut at the beach, and now that I've experienced this I'm wondering - why don't all beaches sell fruit?? So much nicer than ice cream. 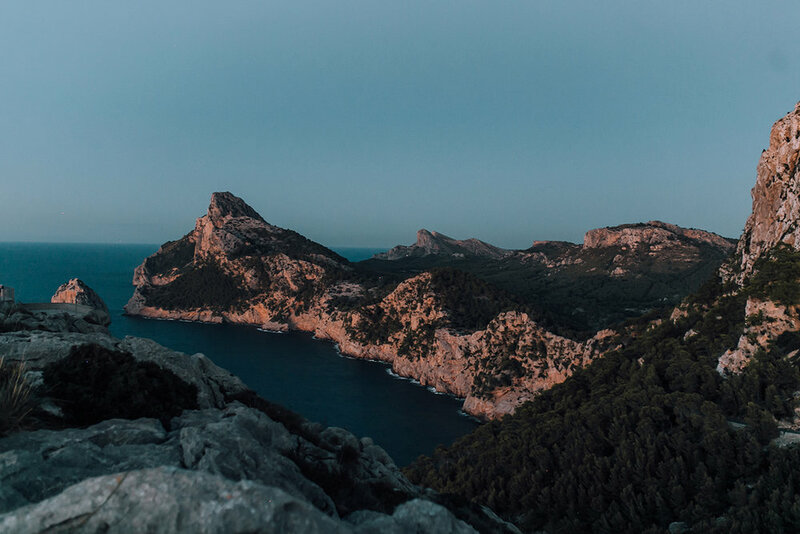 Drive to Cap de Formentor - it's an incredible drive with stunning 360 degree views, worth the hour and a half drive from Palma. We came here for the sunset (kind of - we missed it by a few minutes) one night, and I have to admit it did make me cry a little bit. There are a couple of viewpoints, all revealing a different angle of the Serra de Tramuntana mountains, and all putting you in absolute awe of how tiny you really are! 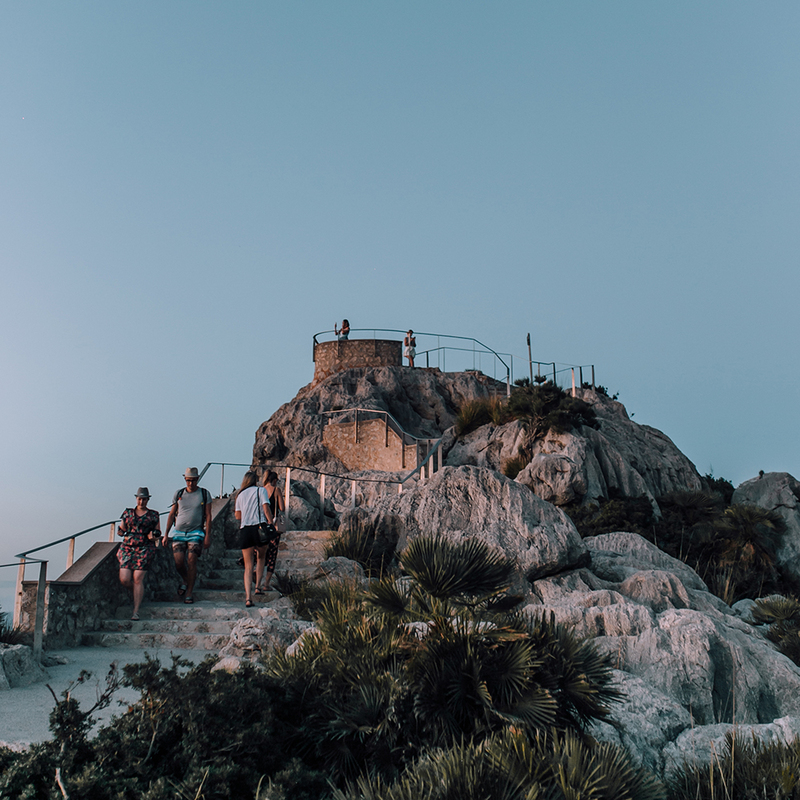 Stay Restaurant - on your way back from that breathtaking sunset, stop off at the nearby Port de Pollenca to visit this restaurant. I was a bit skeptical at first as it's a huge place and there were so many people, and the menu had sooo many options, but we were pleasantly surprised by the food. It's on the pricey side, but the starters are big enough to be mains. 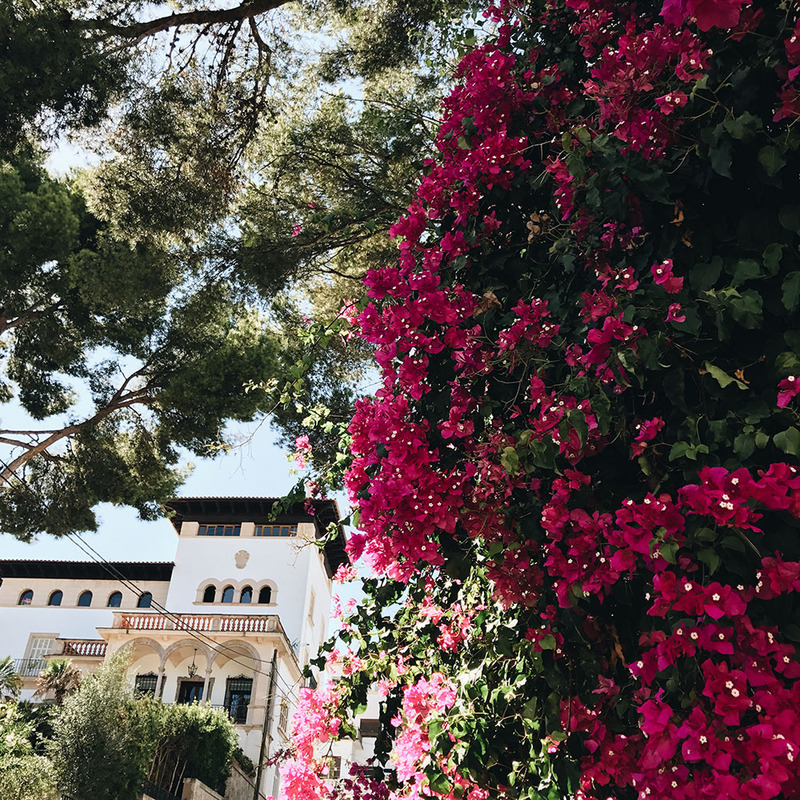 Visit Soller - a beautiful drive through the mountains or a tunnel - take your pick. We actually accidentally missed the squiggly mountain drive but I've seen photos and it's worth it! Port Soller has a lovely old school vibe, and I wish we had a bit more time to spend here and wander around.